Star Wars is really big at our house right now. My girls and I are very excited about it. 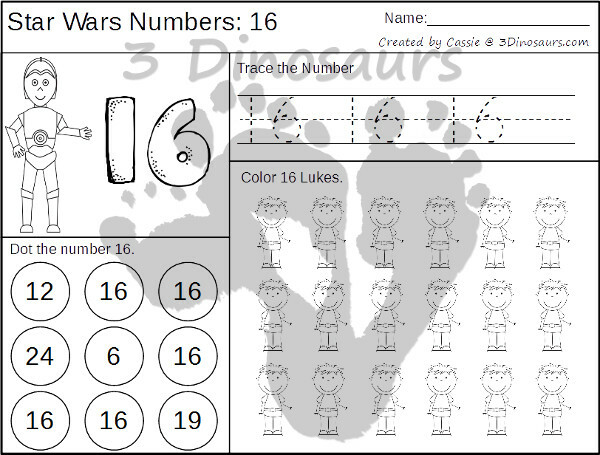 We have been doing some number activities with a fun Star Wars theme. These are similar to the Ccountdown to Christmas Numbers, but they have a slight difference in them. I wanted more numbers and some variation on the coloring. If you have a Star Wars fan at your house these are sure to make them happy! These are really simple and easy to use pages. You can use them any way you want. One way that you could use them is to do one each day that matches up to the day on the calendar. That is one reason I put the numbers up to 31. 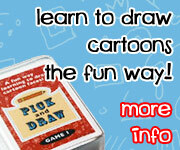 These also have some of our favorite number activities all together. We plan on reading this book: Star Wars The Adventures of Luke Skywalker, Jedi Knight , while we do these activities. Each page is going to have one number themed on it. 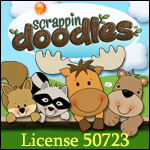 It has trace the number, a number to color, dot the number and count & color the number. Every page has a different Star Wars character for you to color each day. 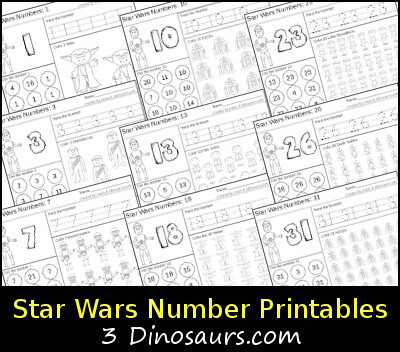 Click here to get your copy of the Star Wars Themed Number Printables. Don’t forget to check out the Star Wars Pack that goes really well with this number set. 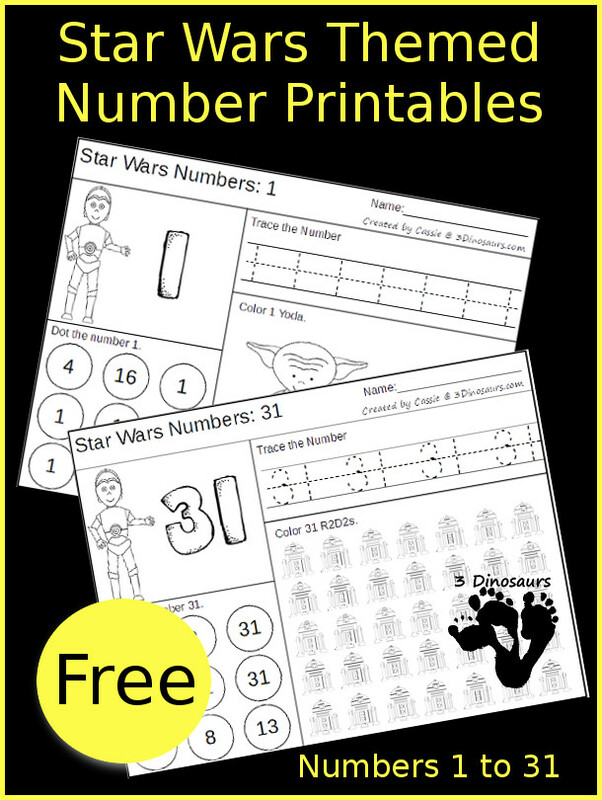 This entry was posted in numbers and tagged free, printables, star wars, writing practice. Bookmark the permalink. 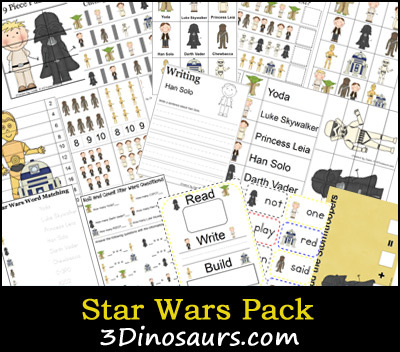 This is definitely a favorite resource for my Star Wars and homework-loving 3-year-old! I was looking for something that would teach numbers 20 – 30, and this was perfect. My son always asks if he can do his “Star Wars” numbers.” We finally reached #27, and we realized that the numbers 27-30 are not included in the “Dot The Number” area. Just wanted to share 😉 Thank you so much for this! Those have been fixed and uploaded this morning. Thanks for letting me know! You’re so quick! 🙂 I will admit though that the little error did give my son a welcome challenge, because he had to pay extra attention to the numbers to make sure that there REALLY weren’t any of the numbers there. lol So it all worked out! 😉 Thanks so much again! Every now and then I miss something and I admit it. I do try and fix things as fast and I can.